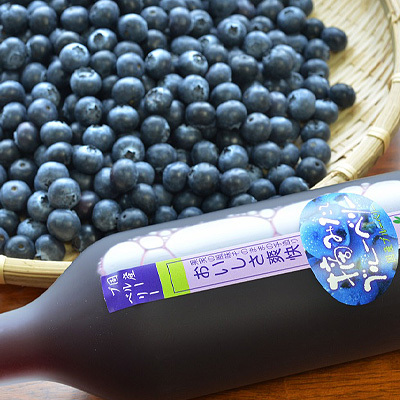 We now sell blueberry drinks with honey. 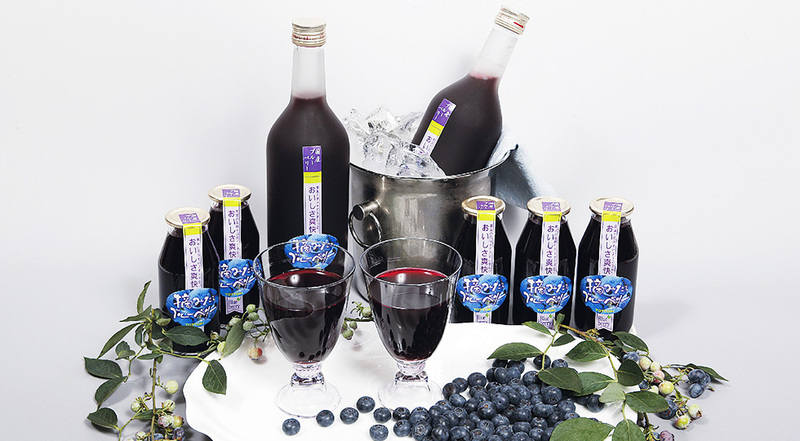 We've hand-crafted this refreshing blueberry drink using the extract of carefully cultivated, homegrown blueberries picked carefully one at a time, and added honey. Refrigerate before serving and enjoy it straight! Chill and drink as-is. It mixes well with dairy, so you can also enjoy it mixed with milk or yogurt. 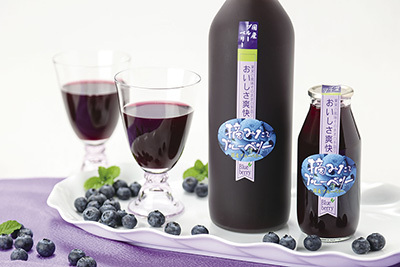 A handcrafted drink full of wholesome blueberry extract, with a crisp sweetness and a rich fruity flavor. The flavor was very rich, but it had a smooth, refreshing sweetness as well. My daughter loved the beautiful purple color when she put milk in it. She drank it right down! The sweetness of the honey was gentle and I want to drink it no matter how tired I am. Blueberries can be harvested for a period of around 2-3 months per year. But we want everyone to be able to enjoy blueberries year-round, so we have planned and developed a variety of products using blueberries to bring to you! We put our producers' affection towards the fruit and meticulousness, as well as the enthusiasm of our customers into each product we develop. We use only delicious, domestically grown blueberries. We treasure the natural flavor of the fruit. We never add unnecessary additives. We use domestically grown blueberries that have received special cultivation approval to make the extract we use as an ingredient. Berries are suitably cared for day by day, then the ripened berries on the bush are carefully picked one by one. Then, we make the extract by boiling selected fruit in water, add honey and citric acid derived from sweet potatoes or tapioca, and create the finished drink with its refreshing flavor. We don't use chemical sweeteners, flavorings, or preservatives. 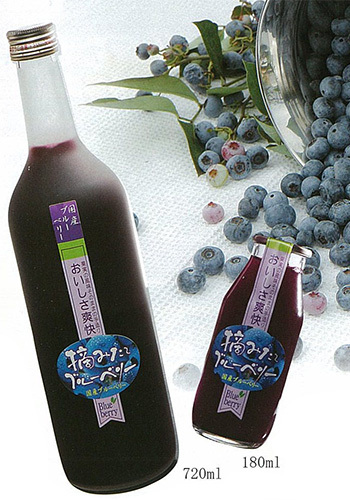 The blueberry is a fruiting shrub in the heath family (Ericaceae). The dark, ripened fruit are a deep purple-indigo color and contain anthocyanin pigments. The fruit have tiny seeds and no puts, and they can be eaten whole without peeling the skin. Also known as the jewel of the forest, uncooked blueberries contain the following nutrients. This gentle and refined sweetness, brought to you directly from nature, offers a relaxed feeling. Honey is composed primarily of glucose and fructose. It is absorbed in the gut and provides the body with energy. The nutritional information is as described below. If you're concerned about your calorie intake, please feel free to consult this data and enjoy responsibly. You can enjoy it chilled without adding anything. It also mixes well with dairy products, so you can mix it with milk, yogurt, ice cream, or others for a tasty combination. 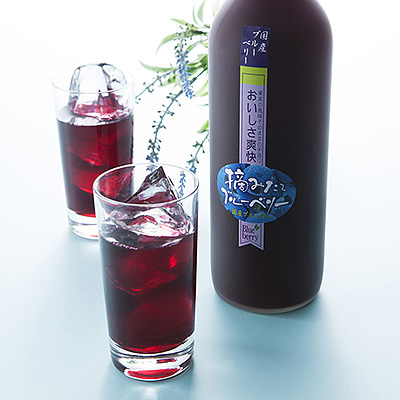 You can also enjoy it as a mixer with shochu, a Japanese distilled liquor. Copyright (c) Agrinet Kotoura Co.,Ltd. All Rights Reserved.